Top Education Degrees has the expert information that you need to go straight to the head of the class. Whether you are a student hoping to one day lead a classroom of eager pupils, a veteran educator looking to expand your professional options, or someone hoping to shape educational policy as an administrator, we have the facts you need to find the degree program that best suits your personal career goals. Count on us for information about the various types of educational degrees available. Visit our program rankings to find top-quality programs. Check out our resources section for news about scholarships, grants and loans that can cut costs for education majors. You will also find information about common educational careers and the employment outlook for these positions. Top Education Degrees understands that people considering careers in education are thinking about more than just their degree programs. That is why we also offer informative features and links to important education organizations. Our goal is to educate you about everything you need to know as you embark on your dream educational career. In 2012, some 1,500,000 elementary school teachers earned a median annual salary of $53,000. Another 600,000 teachers earned the same median salary teaching in middle schools that year. Close to 100,000 more professionals taught in high schools in 2012, earning a median salary of $55,000. Special education teachers also brought home a median wage of $55,000 in 2012. 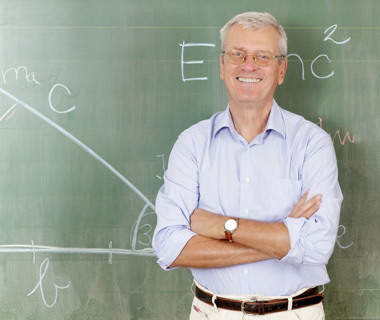 Technical education teachers earned a median salary of $52,000 in 2012. Principals made a median annual wage of $88,000 in 2012. The nearly 227,000 educational administrators employed in the nations elementary, middle and high schools earned a median salary of roughly $88,000 in 2012. In 2012, another 162,000 educational administrators were employed by postsecondary institutions like colleges and universities. Their median annual pay was $86,000. Are you ready to hit the books and begin earning your education degree? Learn more about the best education degree programs at our homepage at TopEducationDegrees.org. A former middle and high school teacher, Dr. Armstrong returned to graduate school in 2002 at the University of Virginia to complete her doctorate in Educational Administration and Supervision. Since graduation, she has served as a faculty member at The George Washington University and the University of Calgary, and most recently as an adjunct at Vanderbilt University, teaching online and on-campus graduate education courses. A mother of three children, one of whom was homeschooled for a short period of time, she embraced the opportunity to pursue and share online resources for other homeschoolers.